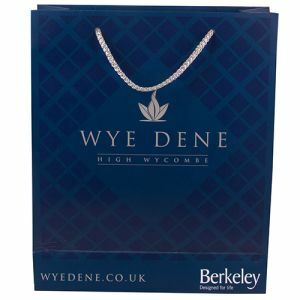 Promotional conference folders are such a useful marketing item, but there are occasions when you might want something smaller than A4, something that is is easier to carry or pop into a briefcase or backpack. A5 branded conference folders fit the bill perfectly, with all the benefits of a full-size conference folder, in a handy, compact design, which still gets your company name or logo out to a wide audience. Our A5 printed conference folders are available with a choice of zip or flap closures and with or without additional ring binder functionality. 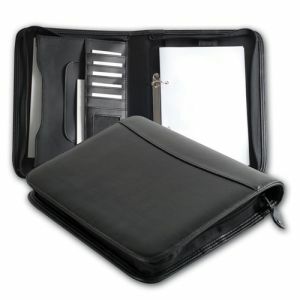 Depending on design, some styles even have spaces for pens, USBs and notepads. 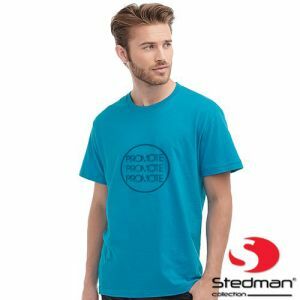 According to research, there are around 1.3 million UK business events held each year with over 85 million attendees, so if you are exhibiting at any of these events, a promotional product to help your company stand out from competitors could be a lucrative move. Anything that is reusable by attendees or delegates will ensure your company maximises the potential return on investment (ROI). Two of our best sellers are the Dartford A5 Conference Folders and Dartford A5 Zipped Folios which can be printed, blind embossed or foil blocked to showcase your company name and logo in one of a range of quality processes. 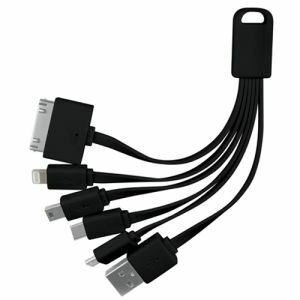 They also each include a pen loop, USB loop and a recycled notepad for increased practicality. 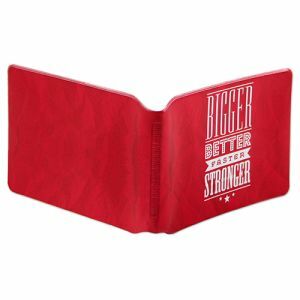 Appeal to a young audience such as students, apprentices or trainees – or tie in with fun and funky brand or event colours - with our A5 Notepad Portfolios which are available in bright, high impact colours as well as traditional black. 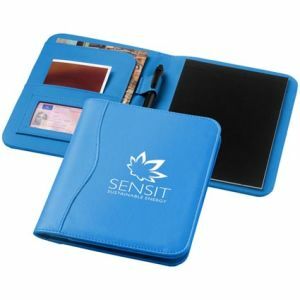 Inside you’ll find a pen loop, lined notepad and pockets to hold documents and tickets; great for students, staff and customers, these have a premium look without the premium price tag. 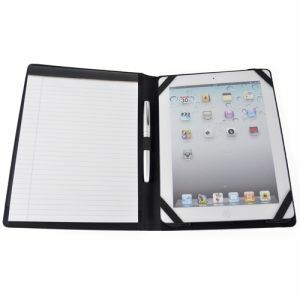 But promotional conference folders aren’t only useful for conferences and events. 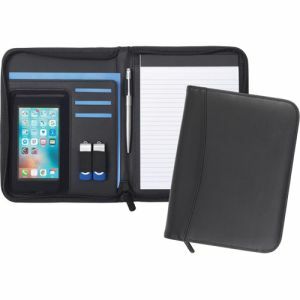 Why not equip your sales team with A5 branded conference folders to safely hold a company iPad or tablet for making important sales presentations? 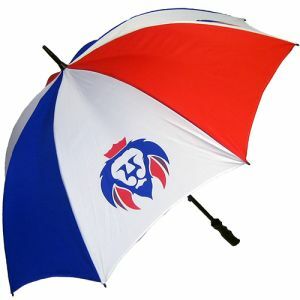 These also make extremely good corporate gifts for Christmas, client birthdays or to celebrate key business milestones. Our Carrington Table Conference Folders are a cost-effective option in stylish black, blue, red or white. 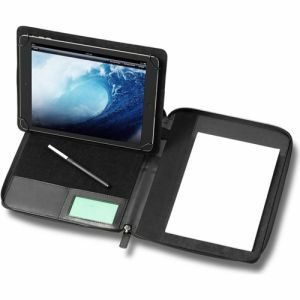 A handy notepad and pen loop means it’s easy to take notes while staying online. Or for executive gifting, for key customers or to reward top salespeople, the Houghton A5 PU table portfolios are supplied gift boxed ready for business gifting – just add a branded pen. 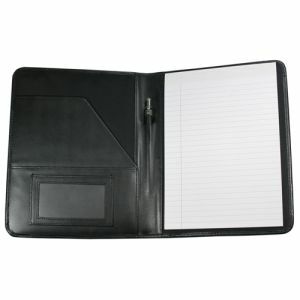 For a luxury corporate gift, give a branded Malvern A5 leather conference folder in water-resistant leather, complete with business card pocket, notepad, pen loop and document pocket. 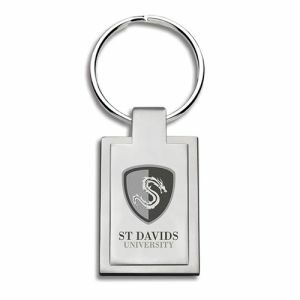 Add your embossed company logo or foil block in either gold or silver for a gift that will be used time after time. Whether you want to give your company stand out at events and conferences or create the perfect staff or customer gift, let us help you source the right A5 printed conference folder for your business at the best UK prices based on your print quantity, budget and requirements. 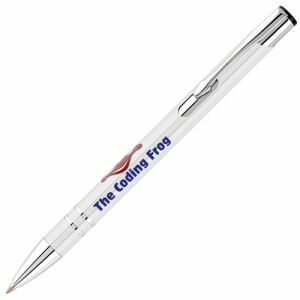 And ask us to recommend branded pens to match or coordinate with your folder to complete the look.